The bakery gives us the perfect opportunity to showcase our love of food with our delicious creations. 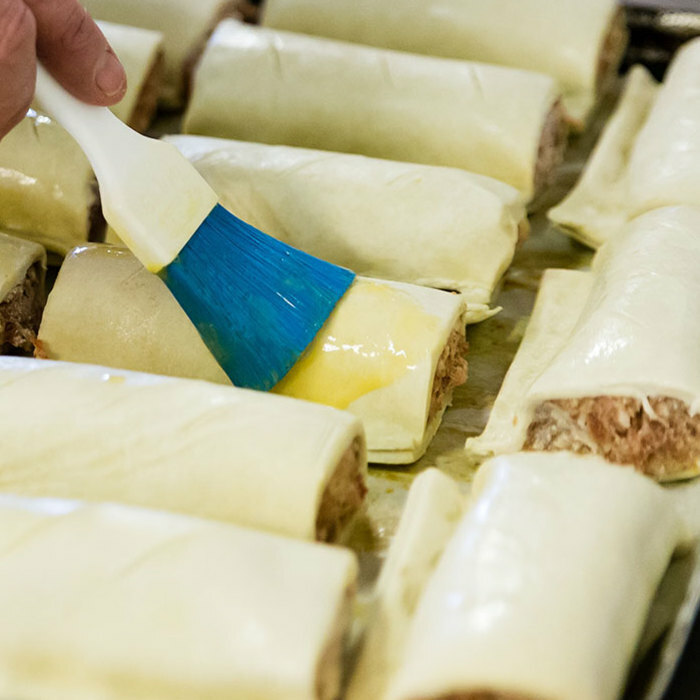 Our bakery boasts freshly baked bread, meat pies, pasties, scotch eggs and hot sausage rolls filled with our meats and freshly baked each day. A good selection of meat-free bakes and lattices that are suitable for vegetarians are available. We offer a wide variety of quiches to order including, Quiche Lorraine, broccoli and Binham blue, leek and Stilton, and roasted Mediterranean vegetables and parmesan. A popular seasonal favourite being the asparagus quiche made with locally grown asparagus from Portwood Asparagus in Attleborough. All our quiches are perfect for parties or everyday enjoyment; so popular last year we baked on average over 700 quiches per month! 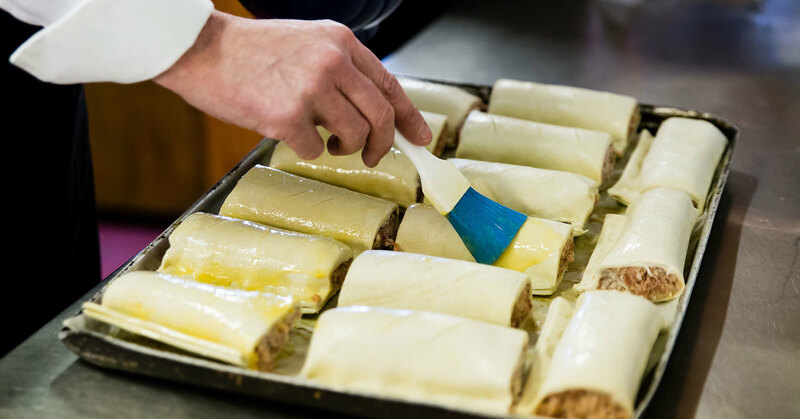 Our chef Matthew bakes a selection of pies prepared using all our own produce: chicken and mushroom, steak, sausage and onion, mince beef and onion are all available. 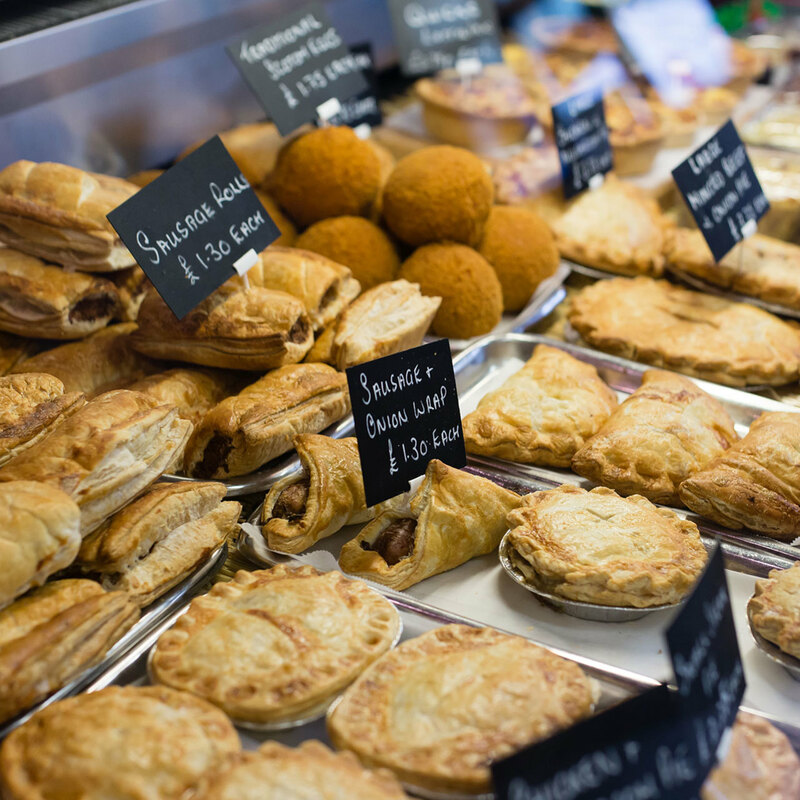 A further range of steak and ale and steak and kidney pies can also be purchased. 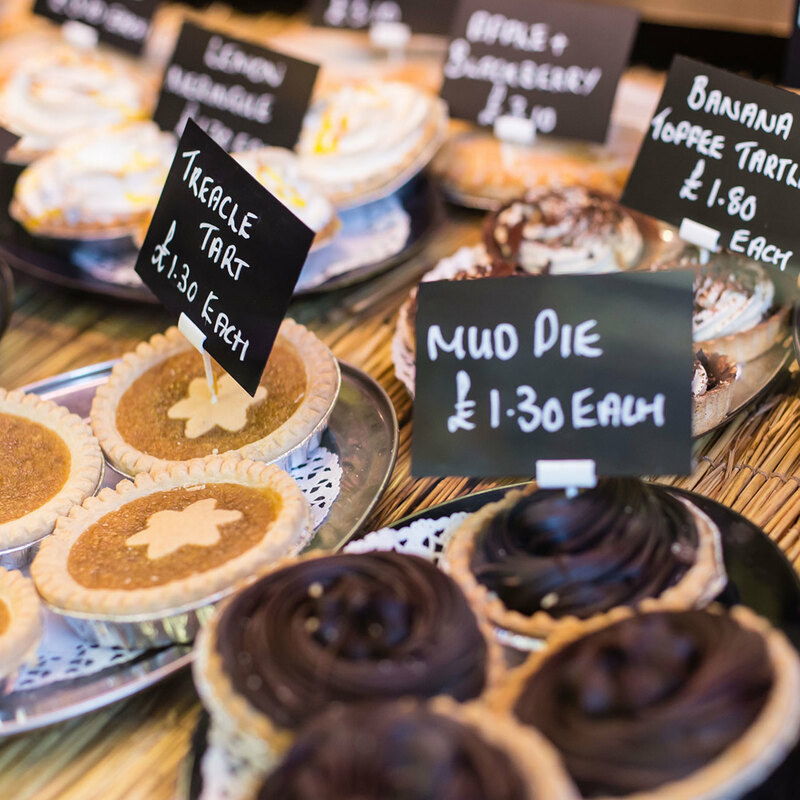 For the sweet tooth, we have a good selection of cakes, pastries and slices. 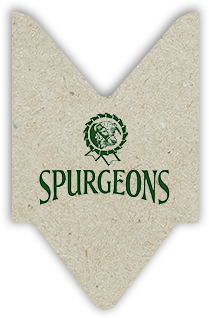 Our homemade sponges are available to order. If you enjoy traditional treats our mini lemon meringue pies and cherry bakewell tarts are delectably tasty. 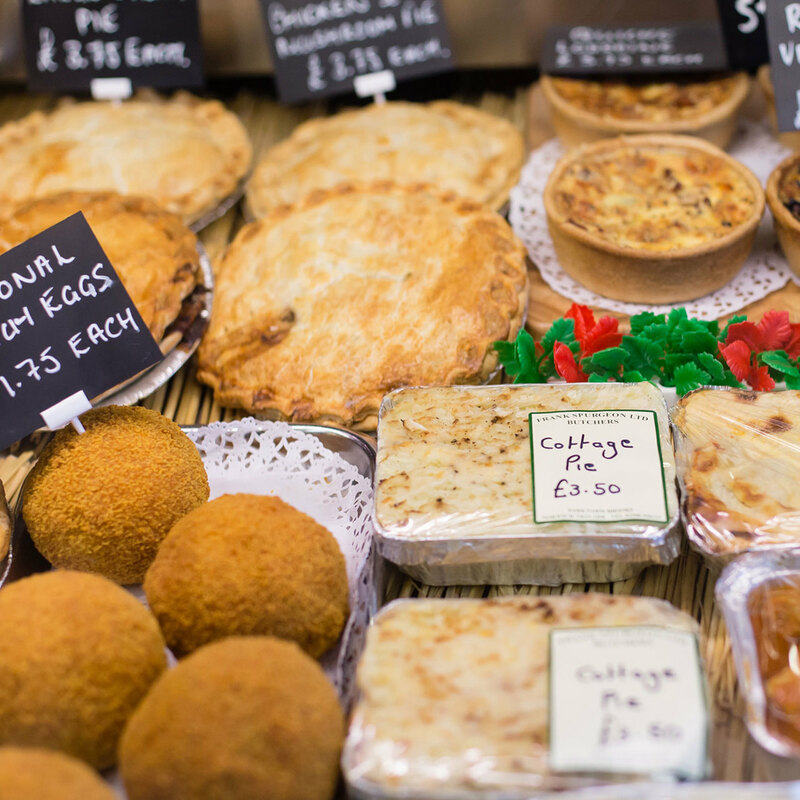 All our cooked meats and cheeses from the deli counter can be enjoyed in a freshly made roll or salad box. Prawn mayo and chicken are popular choices. Try our honey roast ham in a white or brown roll with lots of other options available. 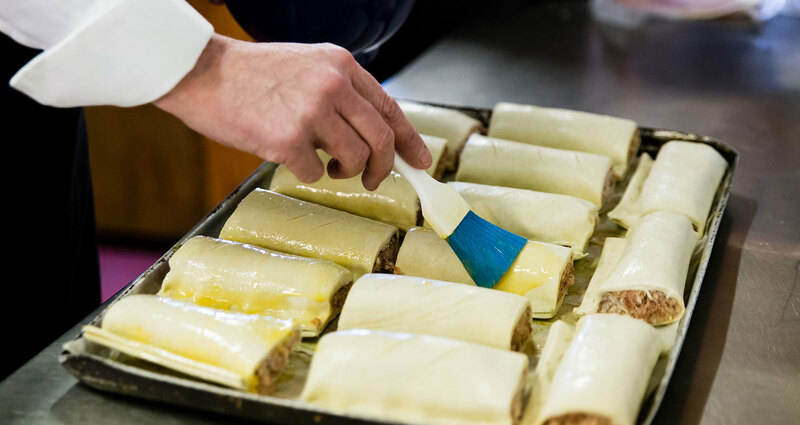 Made freshly to order at lunchtime for your convenience, pop in today and we’ll have your freshly made salad, tasty filled rolls ready in no time at all. If you’re planning a party, let us do all the hard work so you don’t have to. Get in touch and order a lovingly prepared selection of tasty quiches, pies and cakes for the perfect party spread.